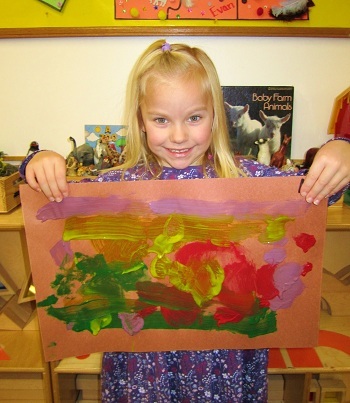 "Your staff is doing a wonderful job developing [our daughter’s] love of learning and we are thrilled to see how she continues to benefit from such a positive environment." “Letter J is for Jungle Week” is next! Monday and Tuesday morning were spent working on Letter I tracing/writing activities. The students had to I-solate the sound that the letter I makes which was a little tricky – particularly because it makes two different sounds! The students realized this fact when they began making their Letter I Word List. Some words like Ice Cream or Ivy make a long I sound where the I “says its name”. 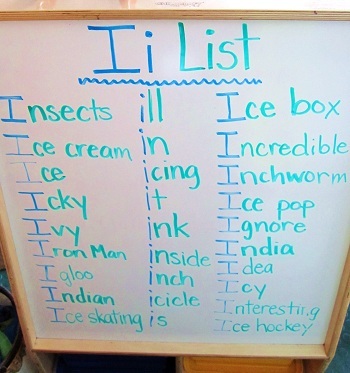 Other words like Insect and Igloo make a short I sound where the I “says its sound”. Regardless of whether the I words were long or short sounding, one thing was for sure, the students made a LONG I word list. 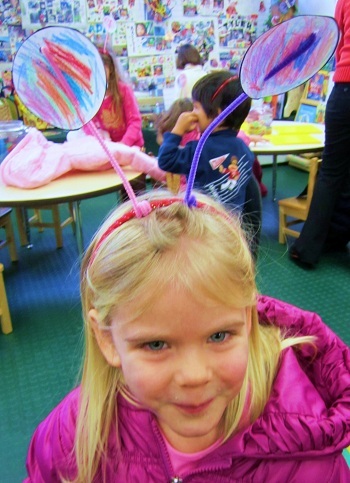 By Wednesday the students were ready to learn about Insects! A spider in Wednesday morning’s sharebox helped spur a very informative discussion about what makes an insect an insect. The teachers read a book all about different types of bugs that revealed the main features of insects. 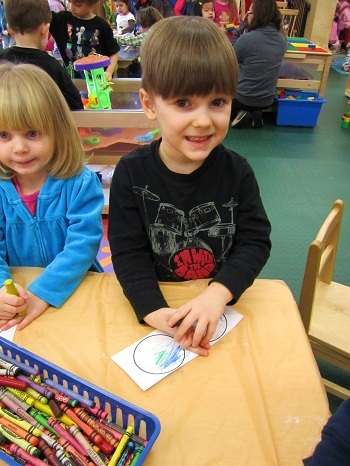 From the story, the students learned that all animals/bugs can be grouped into different categories. The name of the category that each animal is grouped in depends on many different things. 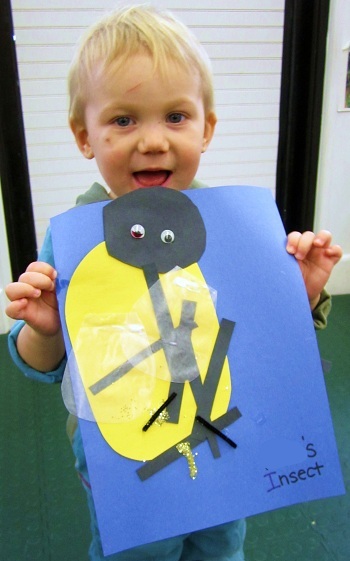 One fact that the students learned was that in order to be called an Insect (belonging to the Insecta Class) the “bug” has to have six legs (along with a segmented body of three parts, antennae and usually wings). After hearing this fact, the students commented that spiders have eight legs, not six! They determined that spiders must not be insects because they have too many legs! The teachers informed them they were correct! Spiders are not insects; they are actually arachnids which have eight legs. After that very “big-kid” discussion, the students began their morning work which was all about another feature of the Insect (or Insecta class) – ANTENNAE! 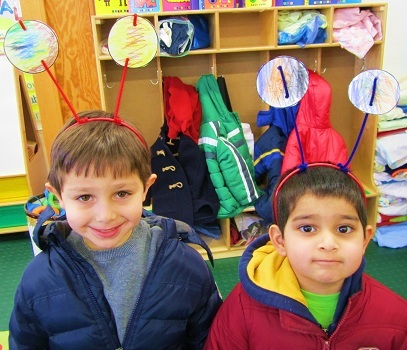 The students used crayons to decorate the ends of their antennae. Talk about an Infestation of Insects! 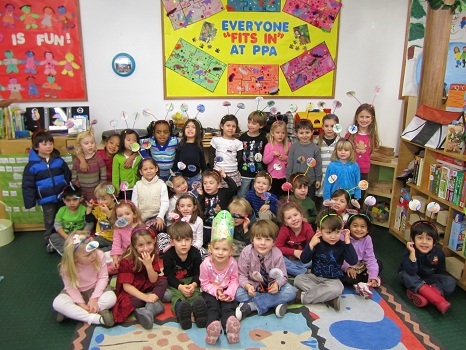 Wednesday and Thursday afternoon began the third unit in Spanish class at PPA – Las Comidas (Food). Below is the vocabulary that the students studied this week. To help them learn the vocabulary, the teachers taught them a song which is sung to the tune of “She’ll Be Coming ‘Round the Mountain”. Queso is cheese – yum, yum, yum! Leche is milk – yum, yum, yum! these are the things we like to eat and drink! Thursday was spent discussing a particularly common insect – the bee! Now, the students all agreed that bees were fun to learn about but not fun when they show up to a picnic! 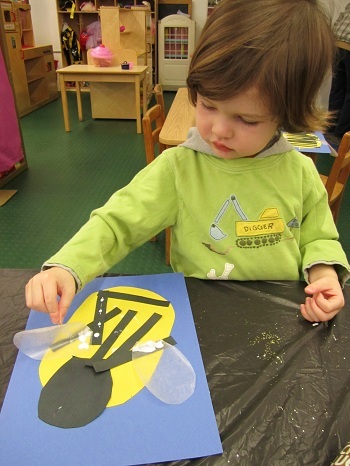 The students were quick to identify the characteristics of bees as: yellow and black bodies, antennae, six tiny legs, and everyone’s least favorite part – the STINGER! Judging from the students’ reactions, it was clear that a bee sting is the worst thing about bees. The teachers asked the students if bees do anything nice. 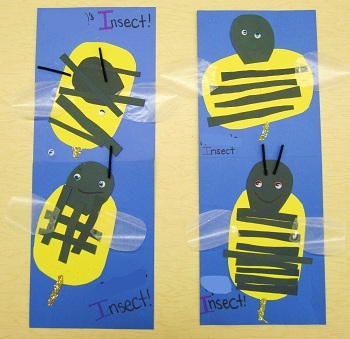 Using the pictures in the story, the students learned that bees help make honey and help make flowers grow by spreading pollen from flowers around when they fly. After learning that bees make yummy honey and more flowers, the students agreed that bees were not as bad as they once had thought. 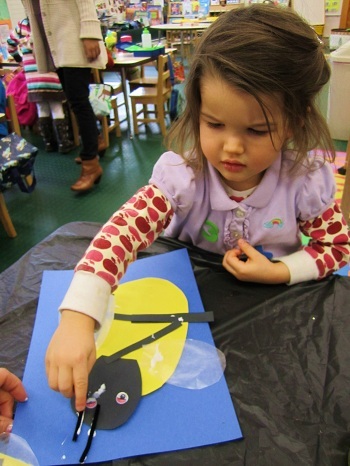 For their morning work, the students assembled their very own bee! First, they added the bee’s body then put on the stripes. Next came the wings, eyes, and of course the antennae. Last but not least, a glitter stinger was added. Take a look to see how some bees turned out. Aren’t they Beeeeeeeeee-autiful? Friday was a super snowy day at PPA! 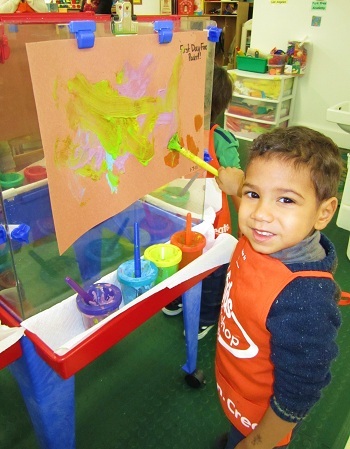 The students spent the morning letting their creativity out during a relaxed free paint session. Take a look at how some of these papers turned out. On Friday afternoon, the students observed a technology presentation all about – you guessed it – Insects! During the presentation the students listened to different insect sounds and had to try to guess which insect was making the sound. The students nailed the sounds of the crickets and bees but had some trouble with cicadas noisy sounds! Watch below to view one of the video clips that was incorporated into the presentation. This one has some great close ups of insects and also a catchy hook! Well, that is all for Letter I is for Insect Week! What an Incredible start to the 2011 year! As always, thank you for reading and have safe and fun weekend! annual updated Influenza Vaccine Record ASAP! to attend school after Friday, January 14th. If your child has received the flu shot for this year, please have your pediatrician fax the record to Park Prep ASAP. PPA’s fax number is (201)217-0209.